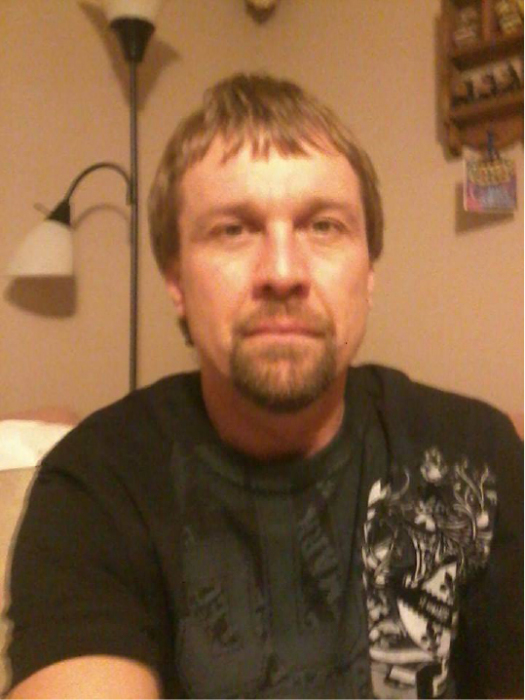 Ray Butch Christensen, age 46, of Marvin, SD, died January 21, 2019, at his home. Funeral services are scheduled for Saturday, January 26, 2019, at 10:00 a.m. at Mundwiler Funeral Home in Milbank, SD. Visitation will be one hour prior to the service. Private burial will be at a later date. Ray Christensen was born on March 15, 1972, in Milbank, SD. He grew up in the Wilmot, SD, and Ortonville, MN, areas. He attended school in Wilmot. While in grade school, Ray enjoyed playing football. Ray was a handyman and even fixed up his farmhouse before moving in with his family. He married Kimberly Savageau on December 7, 2012, in Milbank, SD. Ray was a man with many skills. He worked in carpentry, building bins, and doing cement work. He liked working with his hands and was willing to try and fix just about anything. The Minnesota Vikings was his favorite football team. Ray also enjoyed fishing, ice fishing, and listening to Mud Vane, his favorite rock band group. He was a good singer, and music made him happy. Cherishing his memory is his wife, Kimberly; mother, Cheryl Linngren of Watertown, SD; step-children: Krystle (Alex) Roberts of Milbank, SD; and Austin (Ruby) Grossman of Fargo, ND; sister, Brittany (Jeremy) Hoff of Eureka, SD; grandparents: Jerry and Arlis Christensen of Wilmot, SD; step-grandchildren: Haley and Carson Jutting, both of Milbank, SD; and Rylee Grossman of Fargo, ND; niece, Jerimany Hoff of Eureka, SD; nephew, Harlow Hoff of Eureka, SD; aunt, Carolyn Douglas of St. Cloud, MN; and many other relatives and friends. Preceding Ray in death were his great-grandparents; uncles: Steve Christensen and Larry Douglas; and many great-aunts and great-uncles.